I admit it. I love seeing Cleveland in movies. 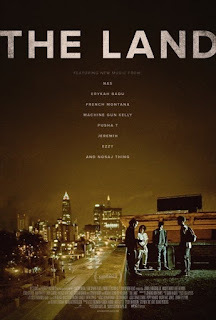 And Cleveland is very much on display in THE LAND, an urban crime/coming of age genre film written and directed by Steven Caple, Jr. In terms of basic plot, there's not much new here. 4 young inner-city friends – Cisco (Jorge Lendeborg Jr.), Junior (Moises Arias), Patty Cake (Rafi Gavron), and Boobie (Ezri Walker) – dream of being pro skaters. Until those dreams come true, though, they use their skateboards to commit car jackings, selling the stolen vehicles for chump change. Things get serious, though, when their latest prize turns out to have a trunkfull of MDMA. The kids wind up selling the drugs, using their earnings both to help their families, and to finance their skateboarding dreams. Unfortunately, Momma (Linda Emond), the dealer the kids unknowingly stole from, isn't the sort to just write off a loss like this. So she entrusts one of her henchmane, Elliot (Robert Hunter) with tracking down the responsible parties. Momma doesn't want anyone to get hurt; she just wants her stash back. Elliot has other ideas, though. For the most part, the plot goes exactly where you'd expect it to go. This is a genre film, and it doesn't push against genre conventions too much. The ending is a little more melancholy rather than the cathartic violent burst one might expect, but otherwise, this is pretty standard issue fare. It's a well made film, though, and Caple certainly shows he's got the chops to become a filmmaker of note. 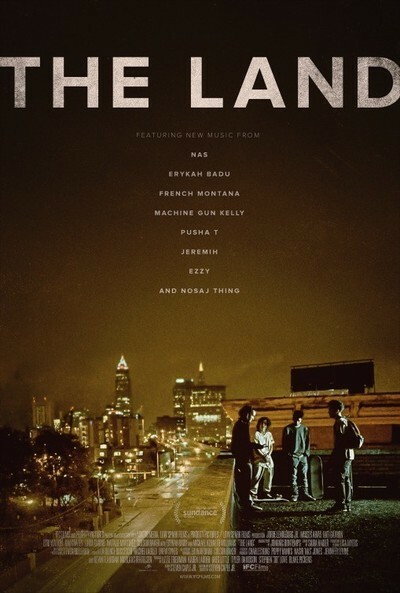 While undoubtedly a low budget film, there's nothing cheap about THE LAND. It looks great, the performances are all solid, and the whole package is edited tightly. And while the story is very much a familiar one, it's nonetheless written well, and features enough little, personal touches to give the material some freshness. Finally, giving the film a little bit of star power, both Kenneth Michael Williams (Omar on 'The Wire') and Kim Coates (Tig on 'Sons of Anarchy') have small parts. The movie probably could have worked just fine without either character, but I love both these actors, so I won't complain. 2 ½ out of 4 stars.